New York, December 2, 2005 – The Rechargeable Battery Recycling Corporation (RBRC), a non-profit public service organization dedicated to recycling rechargeable batteries, today announced that it will do everything it can to help New York City retailers comply with Introductory Number 70-A. This bill, which was signed on December 1, 2005, requires all retailers that sell rechargeable batteries to provide for the collection and recycling of their customers’ rechargeable batteries. RBRC’s Call2Recycle™, the most comprehensive nationwide rechargeable battery and cellphone recycling program, gives all retailers the ability to do just that. Call2Recycle features more than 30,000 collection locations across the nation, including 332 locations in New York City, where consumers can drop off used rechargeable batteries and old cellphones at no cost. Project a green image – Joining the Call2Recycle program demonstrates the retailer’s commitment to preserving the environment. 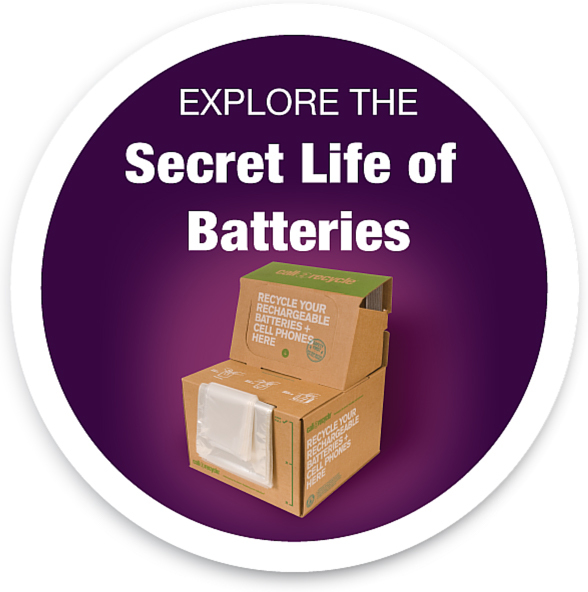 Increase sales – Customers dropping off used batteries and cellphones often shop for replacements. Increase interaction – Increases face-to-face interaction with customers. Establish warranty control – Collecting used batteries and cellphones may deter customers from wanting a refund on a used battery. Enjoy free promotion – Each participating store will be listed on the Call2Recycle web site, www.call2recycle.org, and be included on the toll free consumer helpline, 1-877-2-RECYCLE, informing the public where to drop off their used rechargeable batteries and cellphones. Conserve natural resources – Primary components of rechargeable batteries can be reclaimed to make new products – stainless steel products and new rechargeable batteries. Cell phones are refurbished and resold when possible. Portions of the proceeds received from resale will benefit select charities. Retailers interested in enrolling in the Call2Recycle program can visit www.call2recycle.org or call toll free 877-723-1297 to find out more about the program. Since 1994, RBRC has collected over 26 million pounds of rechargeable batteries – those found in a growing list of portable electronics products, including a wide range of portable electronic products, including cellular and cordless phones, two-way radios, digital cameras, camcorders, laptop computers and cordless power tools. Consumers can find the nearest participating drop off location by calling 1-877-2-RECYCLE or by going online at www.call2recycle.org.